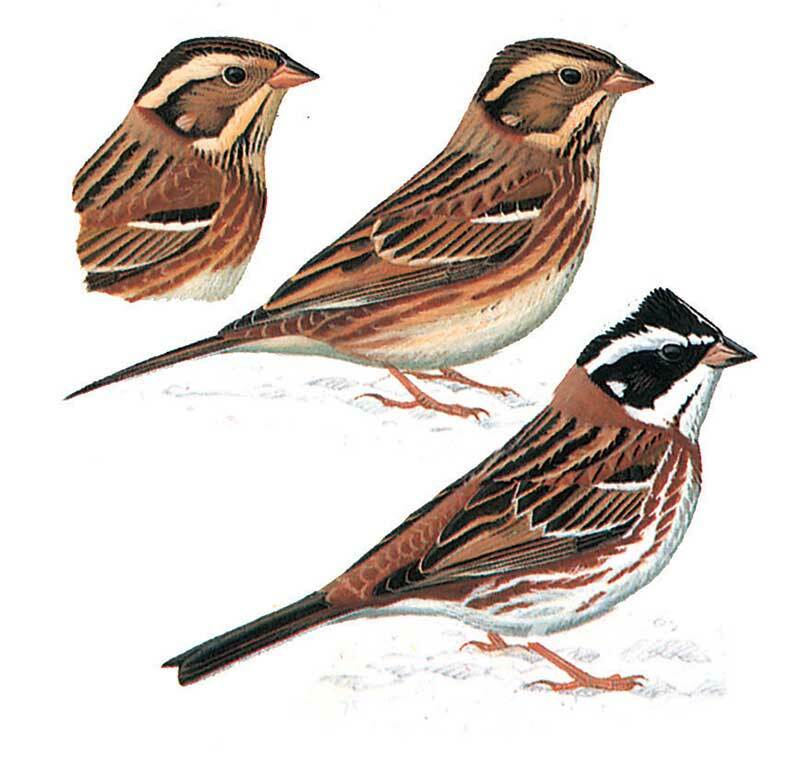 Medium -small bunting with longish bill and much rufous in plumage. Male unmistakable with black head broken by bold white supercilium and nape spot, bright red nape merging on sides of neck with rusty breast band. Flanks with extensive rusty streaks, rump rusty red. Female has less blackish head with paler median crown-streak and ear coverts. Often discovered by their call.